José Alonso-Tovar, Baidya Nath Saha, Jesús Romero-Hdz, David Ortega, "Bayesian Network Classifier with Efficient Statistical Time-Series Features for the Classification of Robot Execution Failures" SSRG International Journal of Computer Science and Engineering 3.11 (2016): 70-79. José Alonso-Tovar, Baidya Nath Saha, Jesús Romero-Hdz, David Ortega,(2016). Bayesian Network Classifier with Efficient Statistical Time-Series Features for the Classification of Robot Execution Failures. 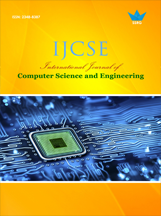 SSRG International Journal of Computer Science and Engineering 3(11), 70-79. Accurate classification of robot execution failure during the manufacturing assembly operations guides to automate robot to perform the predefined tasks. In this paper we exploit the statistical transformations of time-series data for the classification of robot execution failure in the context of peg-hole insertion task. The statistical transformation of time-series data aims to reduce the dimension and unearth the discriminative features for the classification task and and hence improves the performance, such as predictive accuracy and Learning time. We collected force-torque sensor data for different execution failures during peg-hole insertion task using the industrial high speed and powerful MOTOMAN-MH6 six axis robot. We conducted an extensive supervised classification analysis with different classifiers with raw force torque sensor data as well as statistical features computed from the force torque sensor data. Experimental results demonstrated that Bayesian network classifier with efficient time-series features can more accurately classify different robot execution failures than other classifiers. We validated the experimental results on UCI benchmark dataset. M. Abramovici, M. Neubach, M. Fathi and A. Holland, “Competing Fusion for Bayesian Applications”, Proc. IPMU, pp. 378–385, 2008. D. Altan and S. Sariel-talay, “Probabilistic Failure Isolation for Cognitive Robots,” pp. 370–375, 2009. M. Beetz and D. McDermott, “Improving Robot Plans During Their Execution.,” Aips, pp. 7–12, 1994. J. F. Broenink and M. L. J. Tiernego, “Peg-in-Hole assembly using Impedance Control with a 6 DOF Robot,” pp. 504–508, 1996. R. Bouckaert, “Bayesian network classifiers in Weka,” Dep. Comput. Sci. Univ., pp. 1–23, 2004. L. M. Camarinha-Matos, L. S. Lopes, and J. Barata, “Integration and learning in supervision of flexible assembly systems,” IEEE Trans. Robot. Autom., vol. 12, no. 2, pp. 202–219, 1996. M. Da, W. Wei, H. Hai-guang, and G. Jian-he, “The Application of Bayesian Classification Theories in Distance Education System,” no. July, pp. 9–16, 2011. D. H. Dash, and G. F. Cooper, “Model Averaging for Prediction with Discrete Bayesian Networks”, J. Mach. Learn. Res., vol. 5, pp. 1177–1203, 2004. L. M. De. Campos, “A Scoring Function for Learning Bayesian Networks based on Mutual Information and Conditional Independence Tests”, J. Mach. Learn. Res., vol. 7, pp. 2149–2187, 2006. A. Diryag, M. Mitic, and Z. Miljkovic, “Neural networks for prediction of robot failures,” Journal of Mechanical Engineering Science, vol. 228, issue. 8, pp. 1444-1458, 2014. R. O. Duda, P. E. Hart, and D. G. Stork, “Pattern Classification,” New York: John Wiley, Section. p. 680, 2001. N. Friedman, D. Geiger, and M. Goldszmit, “Bayesian Network Classifiers,” Mach. Learn., vol. 29, pp. 131–163, 1997. M. Hall, E. Frank, G. Holmes, B. Pfahringer, P. Reutemann and I. H. Witten, “The WEKA data mining software: an update”, ACM SIGKDD explorations newsletter, 11(1), 10-18, 2009. D. Heckerman, D. Geiger, and D. M. Chickering, “Learning Bayesian networks: The combination of knowledge and statistical data”, Mach. Learn. 20, 197-243, vol. 243, pp. 197–243, 1995. P. Helman, R. Veroff, S. R. Atlas, and C. Willman, “A Bayesian network classification methodology for gene expression data,” J. Comput. Biol., vol. 11, no. 4, pp. 581–615, 2004. S. Karapinar and S. Sariel, “Cognitive robots learning failure contexts through real-world experimentation,” Auton. Robots, vol. 39, no. 4, pp. 469–485, 2015. S. Karapinar, S. Sariel-talay, P. Yildiz, and M. Ersen, “Learning Guided Planning for Robust Task Execution in Cognitive Robotics,” pp. 26–31, 2013. T. Koohi, E. Mirzaie, and G. Tadaion, “Failure Prediction Using Robot Execution Data,” no. 1999, pp. 1–7, 2011. P. Langley, W. Iba, and K. Thompson, “An Analysis of Bayesian Classifiers,” AAAI-92 Proc., pp. 223 –228, 1992. B. Li, X. Rong, and Y. Li, “An improved kernel based extreme learning machine for robot execution failures,” Sci. World J., vol. 2014, 2014. Z. Liu, B. Malone, and C. Yuan, “Empirical evaluation of scoring functions for Bayesian network model selection”, BMC Bioinformatics, vol. 13 Suppl 1, no. Suppl 15, p. S14, 2012. M. Lichman, “UCI Machine Learning Repository” [http://archive.ics.uci.edu/ml]. Irvine, CA: University of California, School of Information and Computer Science, 2013. T. Messay, R. Ordóñez, and E. Marcil, “Computationally efficient and robust kinematic calibration methodologies and their application to industrial robots,” Robot. Comput. Integr. Manuf., vol. 37, pp. 33–48, 2016. A. Nanopoulos, R. Alcock and Y. Manolopoulos, “Feature-based classification of time-series data”, Inf. Process. Manag., vol. 0056, pp. 49–61, 2001. B. Qin, Y. Xia, S. Wang, and X. Du, “A novel Bayesian classification for uncertain data,” Knowledge-Based Syst., vol. 24, no. 8, pp. 1151–1158, 2011. C. Solares, A. N. A. Mar, and I. A. Sanz, “Bayesian Network Classifiers. 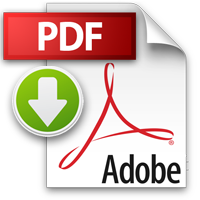 An Application to Remote Sensing Image Classification,” vol. 2005, pp. 62–67, 2005. T. Tang, H. Lin, and M. Tomizuka, “A learning-Based Framework for Robot Peg-Hole-Insertion,” ASME 2015 Dynamic Systems and Control Conference, 2015. B. Twala, “Robot execution failure prediction using incomplete data,” 2009 IEEE Int. Conf. Robot. Biomimetics, ROBIO 2009, pp. 1518–1523, 2009. Time series classification, Robot execution failures, Data transformation.